The Swedish word "lagom" is loosely translated as "just the right amount." That's exactly the vibe that Elliot and Samantha Stocks capture with Lagom, a new magazine that celebrates people making a living from their passion. The production quality of the print magazine is stellar. The visual layout, photography, paper quality, and matte printing style all come together in a distinctive and appealing way. "The Great Divide" – A small design studio evolves into a combination design studio and stationery shop. "Pressing Times" – Legendary typographer and designer Erik Spiekermann offers a first-person look at his "retirement" gig as a letterpress printer. "A Type of Nostalgia" – A writer discovers the romance and joy of vintage typewriters. I really love Lagom's globally inclusive feel. It originates in Bristol, UK and includes contributions from around the globe. 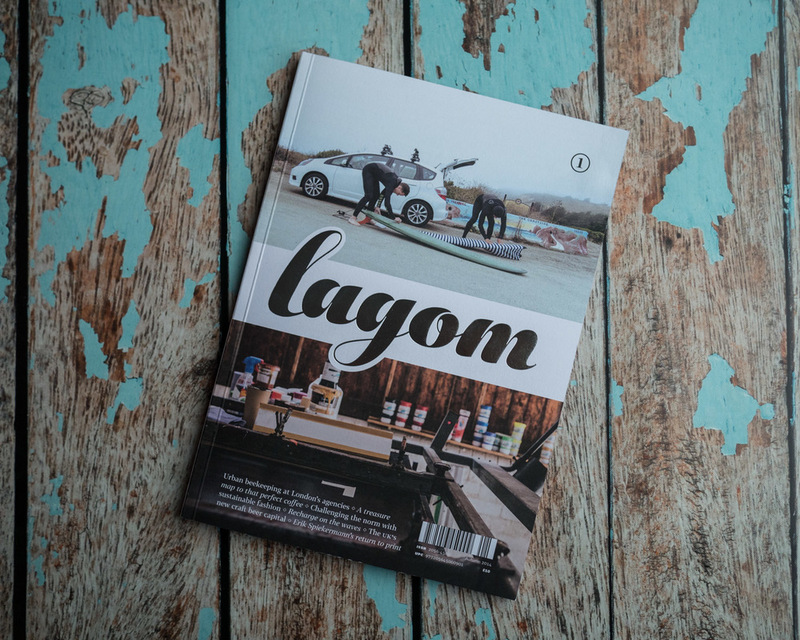 Lagom publishes bi-annually. If, like me, you yearn for the occasional offline reading escape but don't like having magazines pile up, Lagom is worth a look.